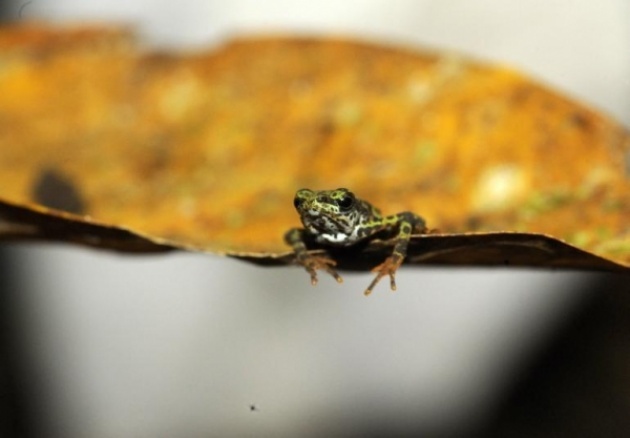 It turned out that the Gardenir's Seychelles frog is not enough and can hear, with its mouth. 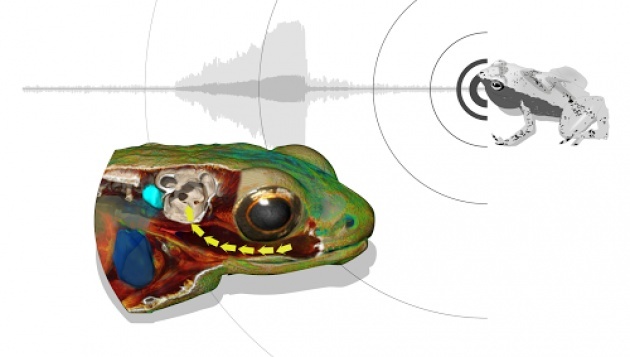 For years scientists believed this species of frog was deaf because it does not have what is called a middle ear that is found in most mammals. What I thought was really interesting about this frog is that at just 11 mm long, it was able to croak and communicate with other frogs, and survive in the wild. So this species obviously had to have some form of hearing, but the question remained where? 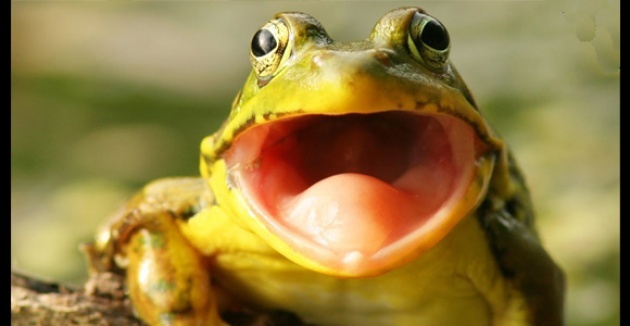 I found out, courtesy of the National Geographic, that scientists to set up shop and the western Indian Ocean to record the frog calls. 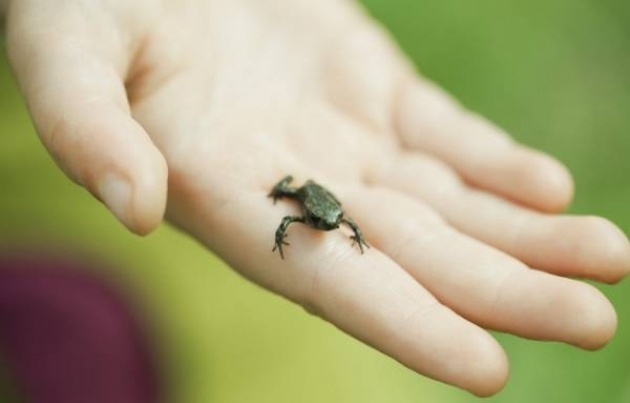 So, scientists x-rayed one of these little frogs to figure out how the sound waves were getting to their brains. Basically scientists figured out the bones in the mouths of these little guys act as amplifiers for sound waves. So, these tiny little creatures pick up on sounds that later travel from their mouth to the inner year since they have fewer and thinner tissue layers between their mouths these two places. But hold your horses, the fun does not end there. What I think is really awesome about these tiny little creatures is the fact that this change in hearing is most likely a product of evolutionary adaptation. As some of us already know, about 47 to 65 million years ago we had a massive supercontinent known as, Pangaea. Well at some point during this time span, the Seychelles broke off from the supercontinent where these frogs separated from other species. Upon reading this article, I only wonder what other body parts animals can hear from? All in all, I have read some other fun facts about the creatures of the world including the fact that certain tadpoles that through their tails, male ostriches can roar like lions, beavers' teeth never stop growing that is why maintenance is key and oysters can change genders depending on what is best for mating. After reviewing these fun facts about the animal kingdom, I’m sure that we can all agree that the world truly is truly full of wonder.